Paying a few bucks for a cup of coffee several times a day can blow a college student’s budget pretty quickly. Over two semesters, that java habit can cost about $1,260—and that's without any espresso drinks, which cost even more. You don't need to be an econ major to see that it’s smarter to invest in a coffee maker (assuming your dorm allows them). At Consumer Reports, we test both full-sized and single-serve coffee makers. Each size has its advantages. "Full-sized coffee makers brew a stronger cup and offer more features," says a CR engineer, Ginny Lui, who oversees our coffee maker tests. "Single-serve machines are a great option if you want to brew a quick cup before you run out the door." In our tests, full-sized coffee makers typically take about 10 minutes to brew a full pot—and some are even faster. But if you need your cup of joe even faster, try a self-serve drip machine or a single-serve model that uses disposable pods. For drip coffee makers, we conduct a brew-performance test to measure the brew temperature and contact time (how long water stays within the sweet spot of 195° F to 205° F for brewing). For single-serve (pod) coffee makers, our engineers evaluate temperature consistency and size consistency of individual cups of coffee. Then our expert coffee taste tester weighs in. Both types also undergo convenience tests to evaluate how easy it is to set timers, fill the reservoir, clean the machine, and more. These exhaustive tests mean you can trust our coffee maker ratings to find the right coffee maker for your dorm room or apartment. Below are six models grouped by type (and not ranked in performance order) that stood out in our tests for their consistent brewing and simple operation. 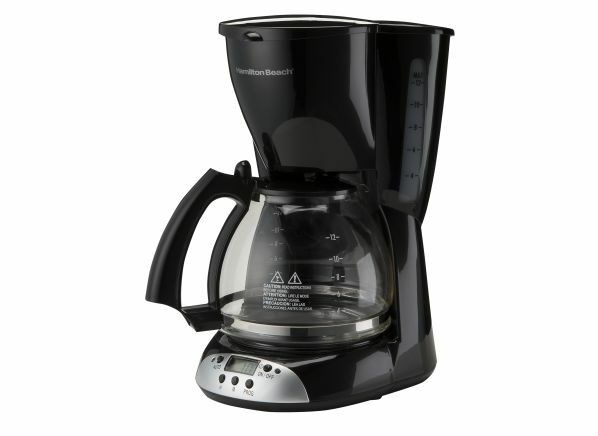 It takes 10 minutes to brew a pot of coffee in the Hamilton Beach 12-cup Programmable 49465. And at about $25, it costs the same or less than one week of takeout coffee from your favorite barista. The Hamilton Beach has automatic shut-off, a smart safety feature that many dorms require. Brew performance is top-notch—in that test, this model earned an Excellent rating—and our testers found the machine convenient to use and clean. 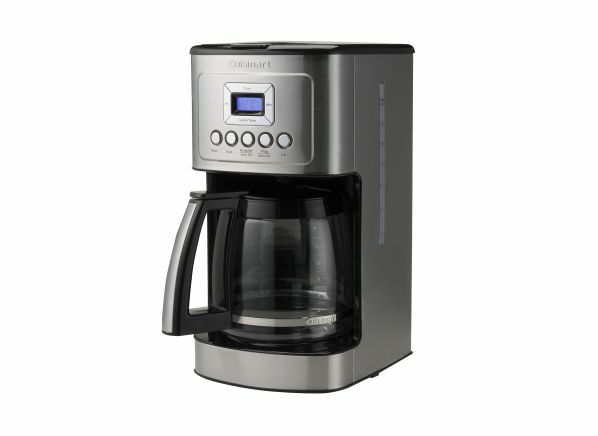 You'll pay more for the Cuisinart 14 Cup Programmable DCC-3200 than the Hamilton Beach above, but you'll get more features, including a permanent filter and a light that indicates when the machine needs cleaning (a good reminder for a student who might otherwise overlook this chore). It also takes 10 minutes to brew a full pot but makes two more cups than the Hamilton Beach. It's a cinch to operate and clean, earning a Very Good rating for convenience. In our tests, we also fill the filter almost to the top with grounds, which can happen when you skip measuring and just dump the coffee in. Some models overflowed in that test, making a mess of the counter. This Cuisinart didn't. 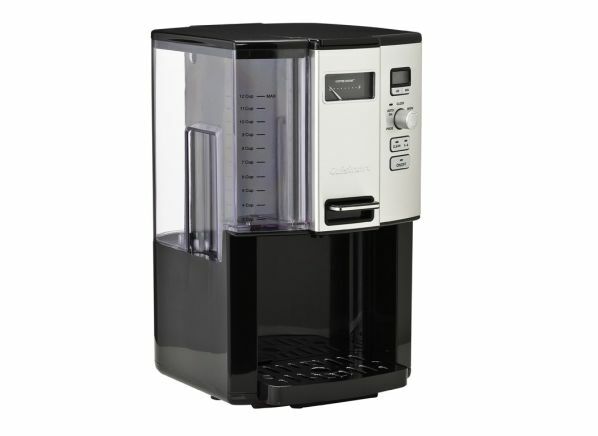 The Cuisinart Coffee on Demand DCC-3000 dispenses coffee one cup at a time. Once the coffee is brewed, just place your travel mug under the reservoir, push the lever, and you're good to go. The self-serve machine filled the entire 12-cup reservoir with freshly brewed coffee in 9 minutes, and it earned an Excellent rating for brew performance. The reservoir is easy to remove and clean. It's also programmable, so you can set it and your coffee will be ready the minute your a.m. alarm goes off. 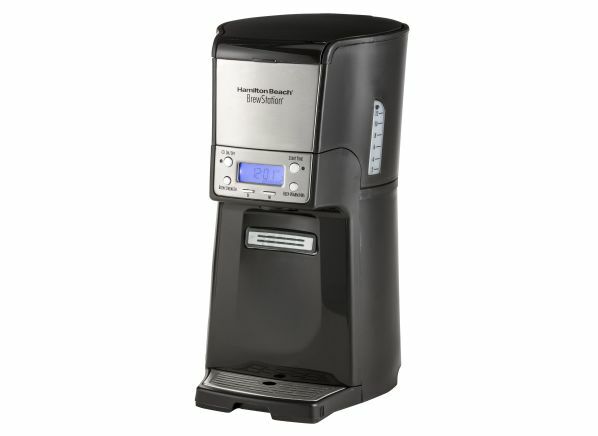 In 8 minutes you can fill a large travel mug from the Hamilton Beach BrewStation Summit 4846. The trade-off? Brew performance isn't quite as good as the Cuisinart above, though this model still earned a Very Good rating in that test. It comes with an auto-shutoff, a cleaning indicator, and a reservoir big enough to hold about 10 cups of piping hot joe. 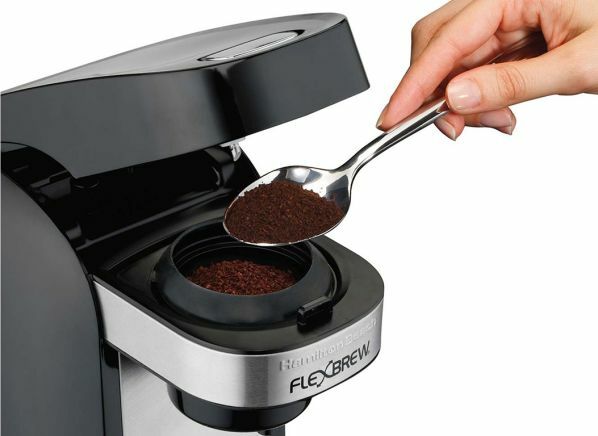 The versatile Hamilton Beach Flex Brew Generation 2 49997 uses K-Cup pods but also works with loose coffee grounds. It earned an Excellent rating for first-cup speed, meaning you won't have to wait long in the morning as you rush off to class. Its only flaw is that our testers found it less convenient to use than other single-serve brewers. This Hamilton Beach comes with a height-adjustable drip tray (handy for travel mugs) and an auto-shutoff so you won't wonder if you turned the machine off while you sit in class. Prefer Nespresso over Keurig? Try the Nespresso Essenza Mini. 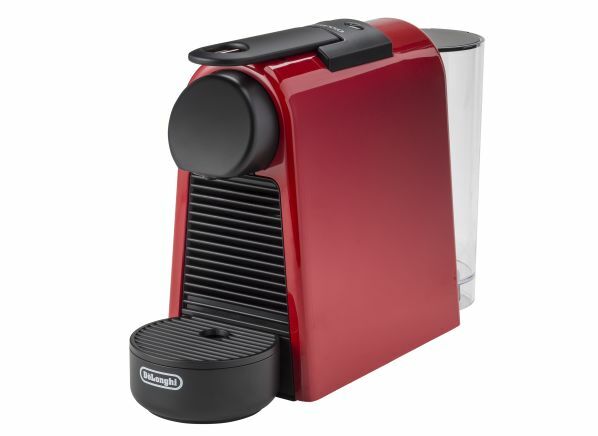 It's a bit pricey, but it's one of the best Nespresso brewers in our ratings. It earned high marks across the board, but received only a Good rating for temperature consistency, meaning some cups might be hotter than others. The Essenza Mini comes with a removable reservoir, a height-adjustable drip tray, and an auto-shutoff. Wrapped in a deep red finish, this little brewer will add a bit of flair to your dorm room. Is Your Coffee Maker Overflowing? Here's Why.